Portage Family Store ONLY! 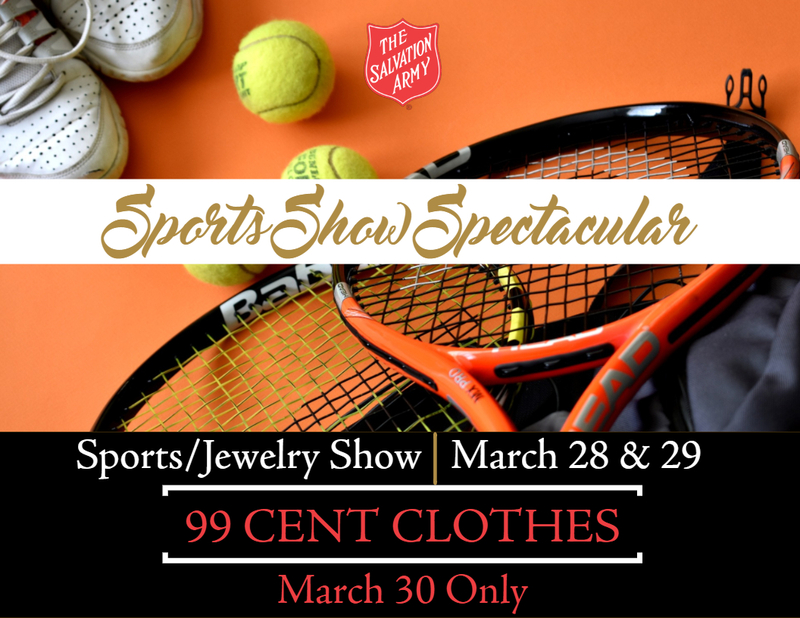 March 28 & 29, browse our extended collection of sports memorabilia and gold and silver jewelry. Then, on March 30, dress your best for less during our one day only, 99 cent clothes sale. Pull off a wallet-friendly wardrobe update with 50% off all clothing, including brand-name and designer apparel, at the Spring Refresh Event. The weather outside is frightful, but our sales are so delightful. 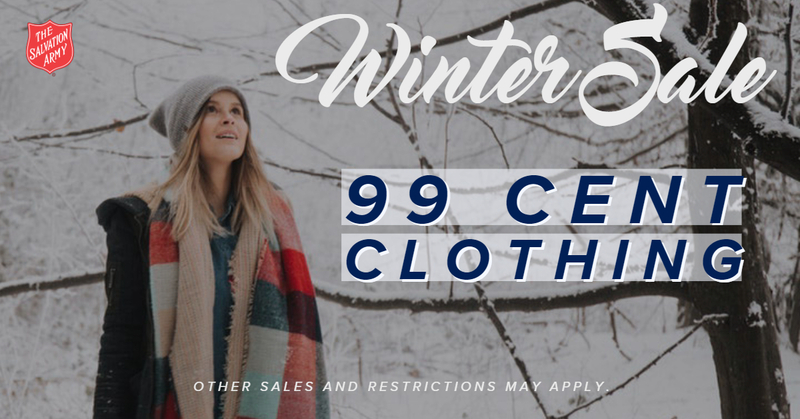 Shop our Winter Sale on Saturday, February 9th and get 99 cent clothing. Be together, never the same. 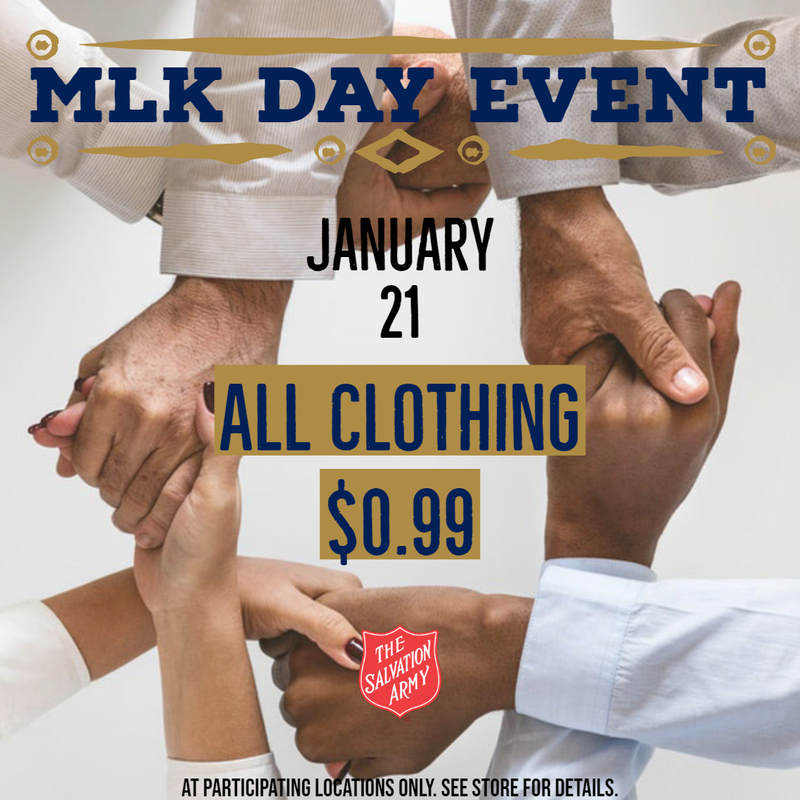 Shop $0.99 clothing at all 8 West Michigan Salvation Army Family Stores on Monday, January 21st.